Tailored Business Training Solutions for Organizations. How do I become a PMP®? Exactly the learning you need, precisely when and where you want it. In addition to our extensive range of online courses, Off Peak Training is also able to offer an Onsite Business Training service to our clients around the world. With this solution, an expert instructor will come on site and provide an engaging learning experience using our proven proprietary course material. Students also receive access to our interactive online learning management system. We design custom courses for businesses and can tailor an existing course or build a new course based on specific content that your organization needs to deliver to your most valuable assets. Courses can be onsite, online, or a mix of both. Tell us your training needs, and we will plan an agenda to address the issues that matter most to your organization. Focus on your own company to maximize impact with presentations from your auditors or management. Run the training where and when you want it – at your own premises or at another suitable venue of your choice. Receive first class support and advice from our dedicated team from planning to delivery and debrief. Work with the OPT instructor best qualified for your organization and your business sector. Tackle confidential issues and strategic challenges privately under the guidance of our specialists. Upgrade your team’s skillset, invest in your staff and increase their job satisfaction through empowerment. If you choose to train locally, you will save on course fees, travel expenses and time away from the office. Every Onsite Training session is different – we customize the training and that applies to the pricing too. Tell us about your project, and we will give you a specific training proposal and price according to your training needs. Our recommended group size is between 10 and 22 students at one time, priced per day rather than per person. Speak to our team of training consultants today to discuss your specific requirements. Off Peak Training was established in 2007 by project management professionals with a history in both high demanding project environments as well as adult learning. The company’s sole purpose was to provide engaging project management professional training at convenient times and affordable prices. Since then, Off Peak Training has established itself as a trusted project management training company. For the past near decade Off Peak Training has delivered project management training courses to private industry, federal, state and local agencies alike, throughout the world. With a well-versed team of certified instructors, Off Peak Training is able to deliver a course that meets our customers’ specific requirements. 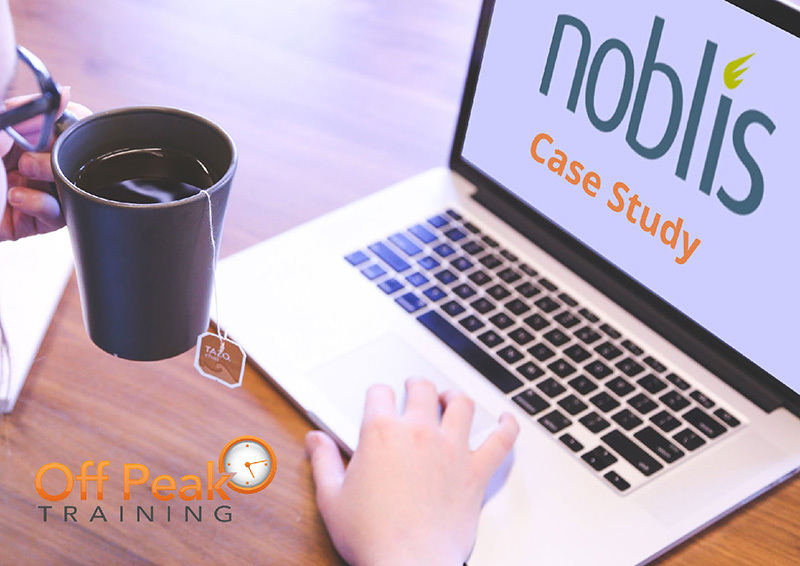 For more than six years Off Peak Training has been working with non-profit organization Noblis to train staff in project management. Because of the enlightened attitude of Noblis’ CEO Amr ElSawy, training extended from himself down through all levels of management and to the employee base itself. This has resulted in a single methodology being used throughout the company which conforms to the Project Management Institute’s standards in project management planning. Noblis’ decision to get their entire company trained has given them better people, contented staff, and better standards for project management methodologies, by strengthening their organization from the top down. PMI®, PMP®, PMI-SP®, PMI-ACP®, PMI-RMP®, and PMBOK® Guide are registered marks of Project Management Institute, Inc.